These hub rings are intended for application on a 2017+ Civic Type R FK8 using 5x120 WORK Wheels. If you are unsure, please contact us and we can assist with fitment questions. Hubcentric rings are an optional item that helps to center an aftermarket wheel when mounting it on the wheel hub assembly. This results in a better balanced wheel/tire setup on your vehicle. 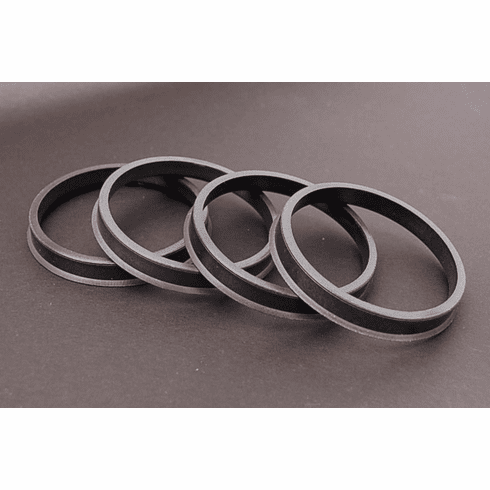 These rings are made specifically for the dimensions and specifications given in the description. These rings are not made specifically to a certain model or type of wheel. Please make note of the hubcentric ring sizing you are purchasing and make sure that it is the correct sizing for your vehicle. If you are not sure, please feel free to contact us before placing your order. *Please also note that the image shown is not necessarily representative of the sizing specified.